I'm sorry if this belongs to someone here but I just don't see why on earth the price is this high on this car? Has to be a shill bidder or others see somethin i sure don't. maybe you need to look again? 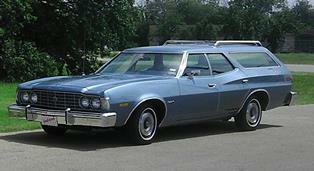 could be Torino script on the 1/4, where did that come from? MURDER TORINO, yep the owner murdered it pretty good. 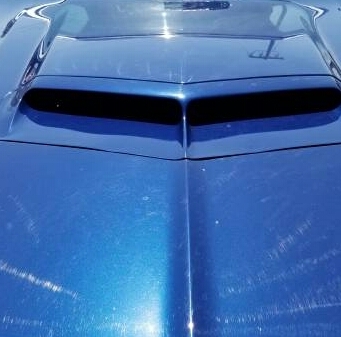 If I was looking at selling a vehicle, I would at the very least try to make it look as good as I could, this person needs a vacuum cleaner(maybe he can buy one with the $7K-Home Depot is running a sale on Rigids right now). 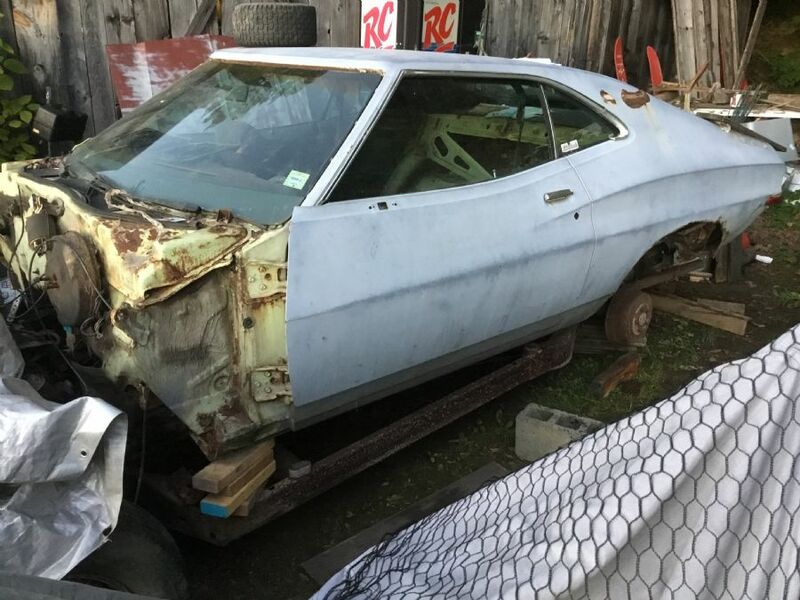 The silver lining is that if this Torino brings "good" money in that condition, it must mean a lot of our rides could be potential gold mines . I kinda like the "Torino" script on the quarters....First thing I'd do is rip those bad boys off and wear em around my neck! LOL! j/k I guess everyone has their idea of "cool". you'd need to get them gold plated first! Good thing it has those 1000 hp mufflers for that 351M! Lots of body rot in fenders and quarters. 351M and 4.10 rear... that's gonna get the RPMs up. Ad doesn't mention new 1-piece valves. I'm wondering about a big kerboom coming up. Damn, posting was removed. Missed my chance! Flex Seal. It needs Flex Seal. Hagerty says a #1 condition GTS is only a $9k ride. No way, mo money! But what about the giraffe-neck scoop in the first two photos? A little hard to spot in the graffiti-soaked wall.